Ferdinand Porsche who was the founder of the Porsche car company was a native of Austria. He is best known for creating the Volkswagen Beetle and the Porsche sports car. He was inducted into the International Motorsports Hall of Fame in 1999. Ferdinand Porsche was born in Maffersdorf which was then in the Austrian Empire on September 3rd 1875. Today it is called Vratislavice nad Nisou and is located in the Czech Republic. Porsche was interested in technology, particularly electricity, from a young age. He developed the first electric car, the C2 Phaeton, in 1898. Porsche worked for several companies before establishing the Porsche motor company in 1931. 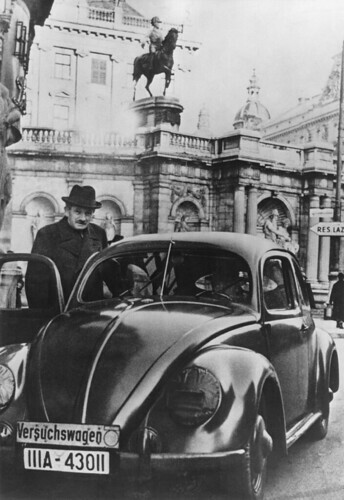 In 1934 he was given a contract by Adolf Hitler to develop the ‘peoples car’ (Volkswagen). During World War II he was involved in the production of tanks and weapon systems for the Third Reich. In 1950 Porsche introduced the Porsche sports car. Ferdinand Porsche, automotive engineer, designer of the Volkswagen Beetle and the Porsche sports car, died aged 75 in the year 1951 On This Day. Tom Kiely was a native of Co Tipperary, Ireland. He won a gold medal in the decathlon in the 1904 Olympic Games. At the time the event was known as the All-around. All ten events were held on the one day, July 4th. Tom Kiely was born Thomas Francis Kiely in Ballyneale near Carrick-on-Suir, Co Tipperary on August 26th 1869. A successful athlete, he was the winner of titles in Ireland, England and America during his career. In 1904 the British team offered to pay his expenses to compete in the 1904 Olympics in St Louis. He was also offered American sponsorship. Kiely refused both offers and raised his own funds. He made it clear that he would represent only Ireland at the Olympic Games. Having won the gold medal Kiely returned to Ireland to a hero’s welcome. A monument to him was erected in home village in 1978. The inscription on the monument reads: ‘Thomas F Kiely, World All Round Champion, St. Louis, 1904’. Tom Kiely, winner of the gold medal in the Decathlon in the 1904 Olympic Games, died aged 82 in the year 1951 On This Day. 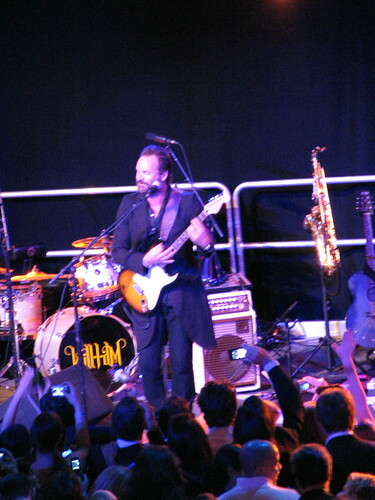 Sting is a singer, songwriter and actor who is a native of England. He was lead singer with the band Police from 1977 to 1985. Following his time with Police, Sting went on to have a successful solo career. Sting was born Gordon Matthew Thomas Sumner in Wallsend, Northumberland, England in 1951. He qualified as a teacher from Northumbria University in 1974. Having worked as a teacher for two years, Sting, with two others formed the new wave rock band, Police in 1977. Sting and the Police became one of the best-selling bands in the world. In 1986 Sting launched his solo career. As a solo artist and as a member of the Police he has sold over 100 million records. For his services to music, Sting received a CBE in 2003. Sting, singer, songwriter and actor who is a native of England was born in the year 1951 On This Day. The ‘Mother and Child Scheme’ was a plan to provide free medical care for all expectant mothers and their children up to the age of 16 in Ireland in the early 1950’s. The attempted introduction of the plan caused a major political crisis. The crisis involved the Government, the Roman Catholic Church and the medical profession. 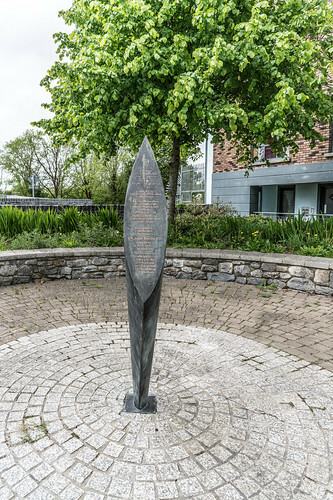 Attempts to reform the Irish healthcare system began after World War II. The high infant mortality rate in Ireland led to the Mother and Child Service being proposed by Health Minister Dr Noel Browne in 1950. It became known as the ‘Mother and Child Scheme’ and was met with strong opposition on a number of fronts. The plan was opposed by the medical profession who felt it would reduce doctors’ income and would lead to the ‘socialisation of medicine’. The Roman Catholic Church opposed the plan on the basis that it could lead to the introduction of birth control and abortion. A large number of politicians opposed the plan for several reasons, including that it put them at odds with the Catholic Church and that the state would have to pay for the scheme. The crisis led to the resignation of Minister Noel Browne on April 11th 1951 and eventually the fall of the Government the following June. Following the election of a new Government a different version of the Scheme broadly acceptable to the Church and the medical profession was introduced in 1953. The crisis re-enforced the belief in some areas that ‘Home Rule was Rome Rule’. The Roman Catholic Church condemned the proposal by the Irish Government to introduce the ‘Mother and Child Scheme’ in the year 1951 On This Day. 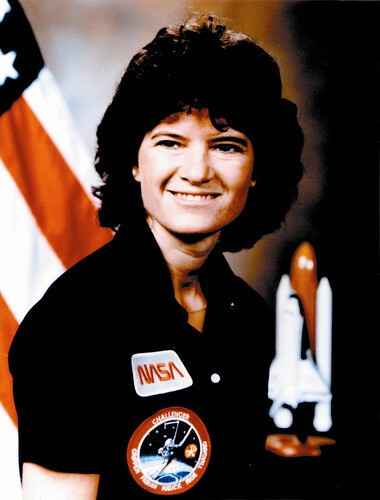 Sally Ride was an astronaut and physicist who, in 1983, became the first American woman in space. Having made her first space flight at the age of 32 Ride became the youngest ever American astronaut. She flew into space for a second time aboard the Space Shuttle in 1984. Sally Kristen Ride was born in Los Angeles, California in 1951. She graduated with a Ph.D. in physics from Stanford University in 1978. In 1977 NASA began looking for women astronauts. Ride decided to apply and was one of six women chosen. Following a rigorous training programme she became the first American woman to travel into space on June 18th 1983. The first woman in space was Valentina Tereshkova of the Soviet Union in 1963. The mission on the Space Shuttle Challenger travelled over two million miles. Two communication satellites were launched and several science experiments carried out. Ride helped to deploy the satellites. The mission lasted just over six days before landing safely at Edwards Air Force Base, California on June 24th 1983. Sally Ride was born in the year 1951 On This Day.